in my vanders i view virginia as a vanity plate vortex - i swear there are more vanity plates in virginia than any place else. however, i have yet to verify my impression. we can thank my niece nina for this very vunderbar find - VO1DMRT! 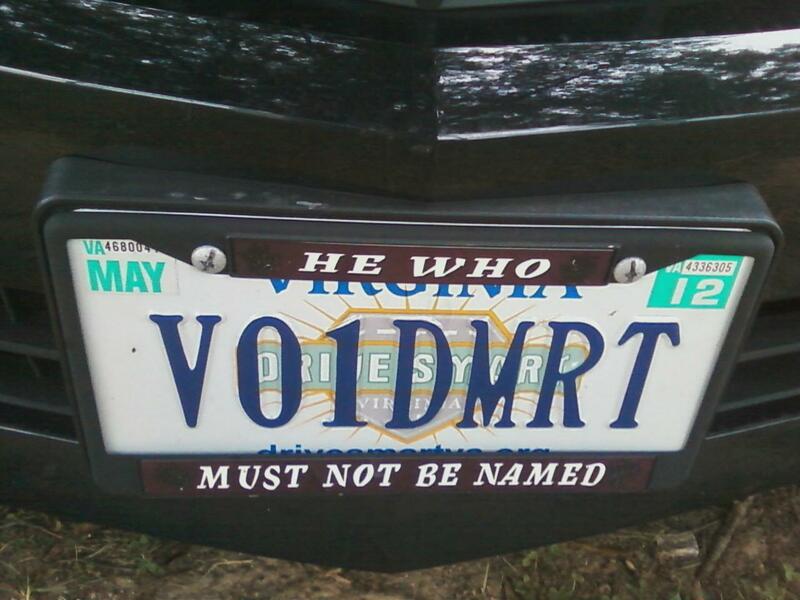 even though he who must not be named, i guess it is viable to plaster the name on a vehicle. i wonder if this guy drives the vehicle with the voldemort - maybe, he does live in virginia! i'm not alone in giving he who should not be named this name of endearment; however, according to this article others compare him to darth vadar along with a few other villains. looking for vanity plates, aka personalized license tags, is one of my simple pleasures - on my other blog, the lakewood daily snap, i celebrate vanity plates each week -- this little obsession started in january 2010, however, all the plates on the snap are local, alas none are from virginny! carly simon's best known song you're so vain - this vid comes from a 1987 concert on martha's vineyard. addendum saturday evening: i checked out the action at the occupy cleveland encampment this afternoon. i'm very encouraged by the diversity of the crowd (especially the young people!) and the visions expressed. i've been praying for a gentle, peaceful revolution against business as usual for the last 40 years -maybe good things come to those that wait - and act! there were some really terrific signs, the sign below fits perfectly with today's letter - v is also for vampire don't forget voldermort/vader's sidekick! tut- truth be told i've only read the first two harry potter books (i did enjoy them), i have seen all the movies...there's just so many books yet not enough time to read all that i'd like, i guess when it boils down to my reading hours, i select other books... grok? OMG! love the license plate and I LOVE the Bush poster! Talk about making a statement. 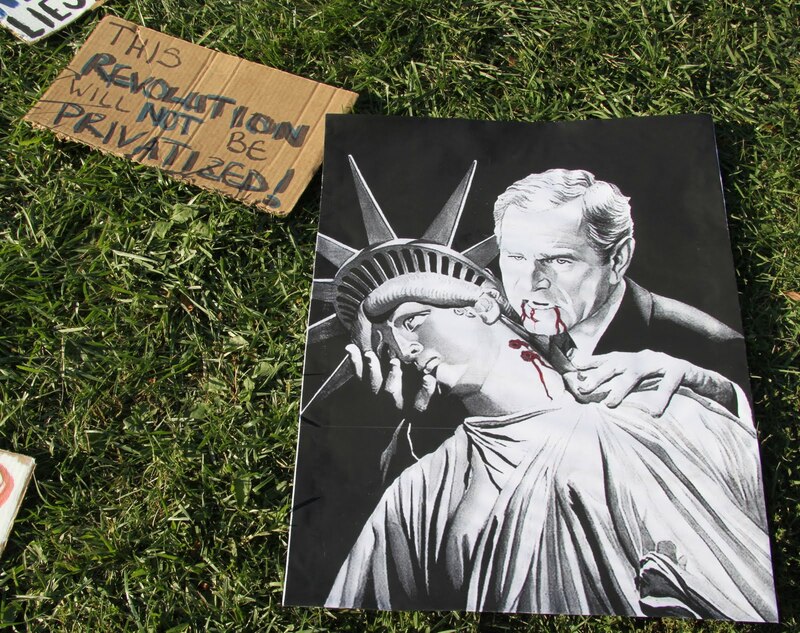 Yes...the Bush photo is right on! They've started up in Chicago today in full force...but I didn't join in although thought about it...and wanted to...was booked for a babysitting gig for the day. Hmmph! Hope they'll be able to keep it up. Never was into the plate thing...although anonymous would be good for me....or invisible. ha!